Have you had an accident or injury during the last three years that wasn't your fault? 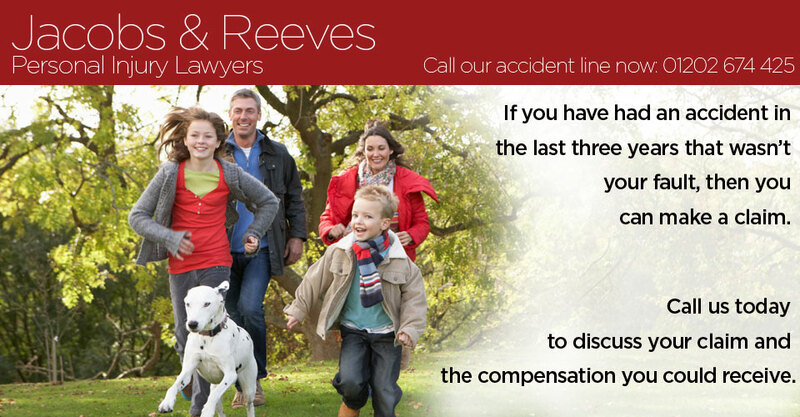 If you have and you would like to claim personal injury compensation, then we can help. Jacobs & Reeves are one of Dorset's leading firms of solicitors and are proud to have a dedicated personal injury claims and personal accident claims department. With offices in Poole and Wimborne, we provide legal services to Dorset, Bournemouth and right across the UK. Accidents and injuries can occur at any time and you have the right to claim compensation if the fault is not your own. Our in-house team of personal injury lawyers will guide you through the process as they pursue your accident claim. Many of the personal injury claims we undertake are on a No Win, No Fee basis and you will receive 100% of the compensation we win on your behalf. 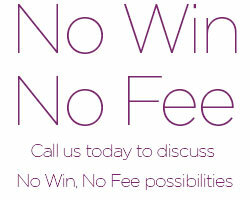 To find out more or to arrange an appointment with a personal injury solicitor call us today on 01202 674 425. Rod Dutton, our Consultant Solicitor in charge of the Department, is a Fellow of the Association of Personal Injury Lawyers. He has over 20 years experience representing injured Claimants including work accidents, road traffic accidents, industrial disease, fatal accidents and catastrophic injuries. "Everything was fine and very satisfactory. I would have no hesitation in recommending your firm."